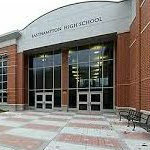 EASTHAMPTON, MA – Superintendent Nancy Follansbee has appointed four interim administrators for the city’s schools, including an interim principal for the high school. Easthampton High School assistant principal Kevin Burke will serve as interim principal in the fall. He replaces Vito Perrone, who left the position at the end of the school year to become principal of West Springfield High School. Follansbee appointed Sue Welson, a teacher at White Brook Middle School, to serve as the high school’s assistant principal. Attempts to reach Burke and Welson on Thursday were unsuccessful. Also serving in a new role this year will be Sarah Mochak, who was appointed interim director of special education following the resignation of Ann Knapp at the end of the school year. Additionally, Dayle Doiron has been appointed interim director of business services for the schools.